strict warning: Only variables should be passed by reference in /home/tradingp/public_html/sites/all/modules/content_profile/content_profile.rules_defaults.inc on line 13. Trading Places is committed to ensuring that your privacy is protected. Should we ask you to provide certain information by which you can be identified when using this website, then you can be assured that it will only be used in accordance with this privacy statement. Trading Places may change this policy from time to time by updating this page. You should check this page from time to time to ensure that you are happy with any changes. This policy is effective from 18/05/2010. You may request details of personal information which we hold about you under the Data Protection (Amendment) Act, 2003. A small fee will be payable. If you would like a copy of the information held on you please write to Trading Places, 20 Washington Street, Cork, Ireland. We are Trading Places of 20 South Mall, Cork. You can contact us at this address by post or by email at info@tradingplaces.ie. Our data protection representative is Emer McCarthy who can be contacted at the above address by post or by email at emer@tradingplaces.ie. (i)	To arrange viewings in relation to properties being let by and/or managed by Trading Places. 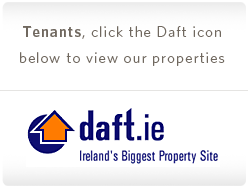 (ii)	To register your tenancy with The Residential Tenancies Board. (iii)	To register your occupation of the property with relevant utility suppliers. (iv)	Where the property is a managed property to enable your Landlord and contractors to contact you in respect of maintenance issues with the property. (v)	Where the property is let only, your personal data will be furnished to your Landlord. (vi)	To communicate with you in respect of your tenancy. (vii)	If you are in receipt of Housing Assistance Payment, certain information will be shared with either Cork City or County Council. (viii)	If you are in receipt of Rent Allowance, certain information will be shared with the Department Employment Affairs and Social Protection. (ix)	For the return of your deposit when your tenancy has ceased. (x)	For confirming references in respect of your tenancy. (xi)	For providing references when your tenancy has ceased. (xii)	For providing confirmation letters in respect of your tenancy. (xiii)	For dealing with Disputes lodged with the Residential Tenancies Board in respect of your tenancy. (i)	Staff Members of Trading Places. (ii)	The Residential Tenancy Board. (vi)	Cork City and/or County Council. (vii)	The Department of Employment Affairs and Social Protection. (viii)	Other third parties in respect of references and tenancy confirmation. The legal basis for the processing of this data is in order to act on behalf of your landlord in respect of the letting of a property to you and/or to act as property managers on behalf of your landlord in respect of your tenancy. There may be limited circumstances in which our legal basis for processing your data is your consent (where we have sought it and you have provided it to us), in which case you can withdraw consent at any time. Where we process special categories of data relating to you, (e.g. health data) in connection with your application or tenancy, our legal basis for processing will be that the processing is necessary for the processing of your application and/or in order to act on behalf of your landlord in respect of the letting of a property to you and/or to act as property managers on behalf of your landlord in respect of your tenancy. We are legally required by the Property Services Regulatory Authority, (the government authority responsible for the control and regulation of Property Provision Services), to retain your personal data for a period of six years after the provision of our service to your Landlord. If you do not provide us with your personal data for the purposes described above, we cannot deal with your application to become a tenant in a property let and/or managed by Trading Places. If you become a tenant of a property let and/or managed by Trading Places, and you do not provide us with your personal data for the purposes described above, we cannot effectively act on behalf of your Landlord is respect of the letting of a property to you and/or management of your tenancy. We will only ever transfer data outside the European Economic Area if requested to do so by you. (i)	The right to obtain further information about how your personal data is processed by Trading Places. (ii)	The right to access your data and obtain copies of the personal data which Trading Places holds. (iii)	The right to have incorrect or incomplete data corrected. (iv)	Have your data erased once Trading Places no longer have a legitimate reason for retaining it. (v)	The right to obtain your data from Trading Places and have it transmitted to another organisation. (vi)	The right to request that we no longer process your personal data for particular purposes, or to object to our processing of your personal data for particular purposes. (vii)	The right to object to the processing of your data in certain circumstances. (viii)	The right not to be subject to (with some exceptions) automated decision making, including profiling. (ix)	The right to lodge a complaint with the Office of the Data Protection Commissioner if you believe Trading Places are not processing your personal data in accordance with the law. In order to exercise any of the rights set out above, please contact us at the contact details provided at the start of this privacy notice. If you are unhappy with how we process personal data, we ask that you contact us so that we can rectify the situation. Where we process special categories of data relating to you, (e.g. health data) in connection with your application or tenancy, legal basis for the processing of this data is in order to act on behalf of your landlord in respect of the letting of a property to you and/or to act as property managers on behalf of your landlord in respect of your tenancy. We will continue to use the personal data as long as your tenancy continues. If you do not provide us with your personal data for the purposes described above, we cannot effectively act on behalf of your Landlord in respect of the letting of a property to you and/or the management of your tenancy. The legal basis for the processing of this data is in order to act on your behalf in respect of the letting of your property or properties and/or to act as property managers on your behalf of in respect of your property or properties. There may be limited circumstances in which our legal basis for processing your data is your consent (where we have sought it and you have provided it to us), in which case you can withdraw consent at any time. Where we process special categories of data relating to you, (e.g. health data) in connection with your application or tenancy, the legal basis for the processing of this data is in order to act on your behalf in respect of the letting of your property or properties and/or to act as property managers on your behalf of in respect of your property or properties. We are legally required by the Property Services Regulatory Authority, (the government authority responsible for the control and regulation of Property Provision Services), to retain your personal data for a period of six years after the provision of our service to you. If you do not provide us with your personal data for the purposes described above, we cannot effectively act as agents on your behalf in respect of the letting and or/ letting and management of your property or properties. (i)	To register tenancies with The Residential Tenancies Board. (ii)	To register you as the owners of the property with utility suppliers, for periods where no tenant is in occupation. (iii)	Where the property is a managed property to enable contractors to contact you in respect of maintenance issues with the property. (iv)	Where the property is let only, your personal data been furnished to your Tenant or Tenants. (v)	In order to communicate with you in respect of your property or properties. (vi)	If your tenant is in receipt of Housing Assistance Payments certain information has been shared with either Cork City or County Council. (vii)	If your tenant is in receipt of Rent Allowance certain information has been shared with the Department Employment Affairs and Social Protection. (viii)	Where the property is a managed property, for the processing of your monthly rental payment. (ix)	Where the property is a let only property for the transfer to you of the Tenant’s deposit and first month’s rent. (x)	For the termination of a tenancy in respect of the property. (xi)	For dealing with any Disputes lodged with the Residential Tenancies Board in respect of your property or properties.